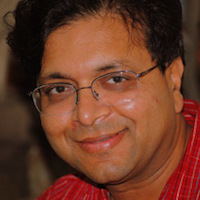 Rajesh Gupta is a professor and holder of the QUALCOMM endowed chair in Embedded Microsystems in the Department of Computer Science & Engineering at UC San Diego, California. He leads the Microelectronic Embedded Systems Lab and is head of the Embedded Systems Group at UCSD. Rajesh did his undergraduate education at IIT-Kanpur and his graduate education at UC Berkeley and Stanford. He currently serves as an advisor to Tallwood Venture Capital, RealIntent, Calypto and Packet Digital Corporation. 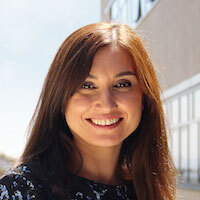 Ilkay Altintas is the chief data science officer at the San Diego Supercomputer Center (SDSC), UC San Diego, where she is also the founder and director for the Workflows for Data Science Center of Excellence. 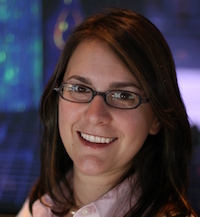 Since joining SDSC in 2001, she has worked on different aspects of dataflow-based computing and workflows as a principal investigator and in other leadership roles across a wide range of cross-disciplinary NSF, DOE, NIH, and Moore Foundation projects. Ilkay is a co-initiator of and an active contributor to the popular open-source Kepler Scientific Workflow System and the co-author of publications related to computational data science and e-Sciences at the intersection of scientific workflows, provenance, distributed computing, bioinformatics, observatory systems, conceptual data querying, and software modeling. 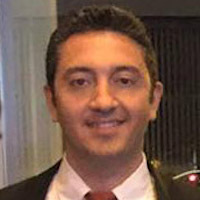 Ilkay is the inaugural recipient of the SDSC Pi Person of the Year (2014) and the IEEE TCSC Award for Excellence in Scalable Computing for Early Career Researchers (2015). 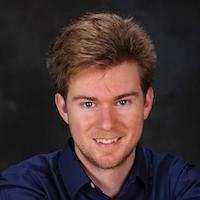 Julian McAuley has been an Assistant Professor in the Computer Science Department at the University of California, San Diego since 2014. Previously he was a postdoctoral scholar at Stanford University after receiving his PhD from the Australian National University in 2011. His research is concerned with developing predictive models of human behavior using large volumes of online activity data. 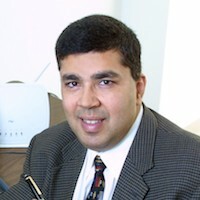 Mani Srivastava is on the faculty at UCLA as Professor in the Electrical Engineering Department, with a joint appointment as Professor in the Computer Science Department. Before joining UCLA in 1997, he worked at the Networked Computing Research Department at Bell Labs in Murray Hill, NJ. His interests in mobile and wireless systems are largely because of his work at Bell Labs where his group built one of the first wireless ATM system. Prior to that, he did his graduate work in the EECS Department at U. C. Berkeley under Bob Brodersen in the general area of CAD tools for embedded DSP VLSI and system design. His M.S. project (1988) was on CMOS bit-slice datapath compilation as part of the Lager silicon compiler for DSP VLSI, while his Ph.D. dissertation (1992) was on hardware-software rapid prototyping and co-design at the board level for embedded DSP and control applications. Shade T. Shutters is a research scientist with the Global Security Initiative at Arizona State University, where he holds additional appointments at the Global Institute of Sustainability, the Center for Policy Informatics, and the Center for Social Dynamics and Complexity. His academic appointment is with the School of Sustainability. 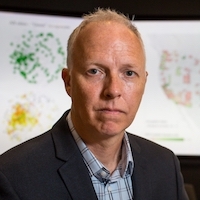 As a complex systems scientist, his research is focused at the intersection of complexity science and urban systems. Prior to PhD work, he earned an honors B.S. in finance from Indiana University and worked for several years in international finance and accounting, earning the designation of Certified Management Accountant and becoming certified by Oracle in database architecture and SQL programming. Dr. Rajit Gadh is Professor of the Henry Samueli School of Engineering and Applied Science at UCLA, Founder and Director the Smart Grid Energy Research Center or SMERC (http://smartgrid.ucla.edu) and Founder and Director of the UCLA WINMEC Consortium (http://winmec.ucla.edu). His research interests include modeling and control of Smart Grids, Electric Vehicle to Grid Integration, Vehicle to Grid (V2G), Autonomous Electric Vehicles, Demand Response, Microgrids, Energy Storage in the Grid, Renewable Integration, Internet of Things, Wireless/RFID. Dr. Gadh has a Doctorate degree from Carnegie Mellon University (CMU), a Masters from Cornell University and a Bachelors degree from IIT Kanpur all in engineering. He has taught as a visiting researcher at UC Berkeley, has been an Assistant, Associate and Full Professor at University of Wisconsin-Madison, and was a visiting researcher at Stanford University. 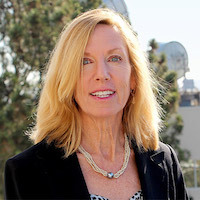 Dr. Karen Flammer is the Director of Education, Outreach and Training at the San Diego Supercomputer Center, UC San Diego. She is also co-founder and the Director of Education for Sally Ride Science at UC San Diego, an organization whose mission is to inspire young people in STEM and to promote STEM literacy. Karen is the Project Director for SDSC’s Big Data Specialization on Coursera and oversees all data science and HPC training efforts. Karen received her Ph.D. at UC San Diego in space physics. Volkan Vural received his B.S. degree in Electrical and Electronics Engineering from ODTU in Turkey. 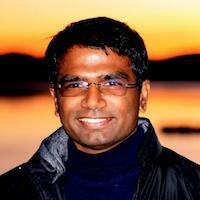 He completed his Ph.D. in Statistical Machine Learning at Northeastern University in Boston. 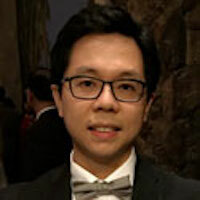 During his Ph.D, studies, he worked with the Computer Aided Diagnosis Group at Siemens Medical Solutions where he developed machine learning algorithms to detect lung cancer, colon cancer and pulmonary embolism. He also has over five years of software development experience in financial technology industry during which he led a team of six. 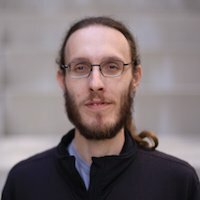 Dr. Vural is currently a Computational Data Science Researcher at the San Diego Super Computer Center, UCSD. Daniel Crawl is the WorDS Associate Director at the San Diego Supercomputer Center, UCSD. 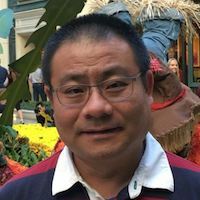 He is the lead architect for the overall integration of distributed data parallel (DDP) execution patterns and the Kepler Scientific Workflow System. He conducts research and development of execution patterns, bioActors, and distributed directors. Daniel received a Ph.D. in Computer Science from the University of Colorado. 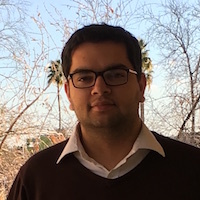 Bharathan Balaji, PhD, is a Postdoctoral Scholar at University of California, Los Angeles working with Prof. Mani Srivastava in the Networked and Embedded Systems Laboratory. Bharathan did his PhD in Computer Science at University of California, San Diego where he was advised by Prof. Yuvraj Agarwal and Prof. Rajesh Gupta. His doctoral research was primarily in the area of smart buildings where he created hardware and software technologies for applications such as energy monitoring, occupancy based control and fault detection. With MetroInsight, Bharathan hopes to apply his experiences from smart buildings to the city infrastructure and enable applications that helps to keep the city safer, healthier and happier. 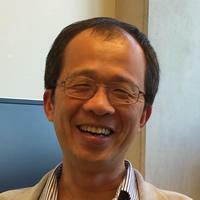 Dr. Chu is currently a project lead at Henry Samueli School of Engineering and Applied Science at University of California at Los Angeles. He is also the forum convener at UCLA WINMEC, ESmart consortium. He is a senior research manager who supervised and steered multiple industry and academia research projects in the field of Smart Grid, Electric Vehicle and Renewable Energy Integration, Micro Grid System, Sensor Network, RFID technologies, Mobile Communication, Media Entertainment, 3D/2D Visualization of scientific data and Computer Aided Design. He has over 15 years of experience in research & development of software architectures, frameworks and solutions and has delivered multiple project solutions and software packages to the industry globally. 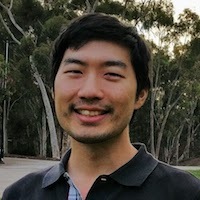 Jason Koh is a PhD student at Computer Science and Engineering Department of University of California, San Diego, working with Professor Rajesh Gupta. His research interests include system development, data analysis and information modeling for smart buildings/cities. He is also involved in following projects: Brick (http://brickschema.org/), BuildingDepot (http://buildingdepot.org/). 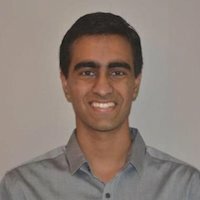 Utkarsh is currently a Master student in the School of Computing, Informatics and Decision Systems Engineering at Arizona State University. He also works as a Research Assistant at ASU. 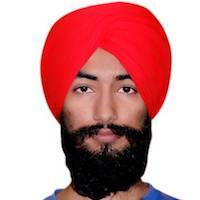 He obtained his Bachelor Degree in Information Technology from IIIT Gwalior, India. His primary area of expertise is Data Visualization with research interests in Data Mining, Machine Learning, and Data Visualization. Rajiv Pasricha is a Jacobs Scholar at the University of California, San Diego, and is in the fourth year of his five-year BS/MS program in the Computer Science and Engineering Department. He is currently working with Professor Julian McAuley, and his research interests are in the application of Machine Learning to social networks, recommender systems and sensor data. Yu-Wei Chung is currently a PhD student at Mechanical and Aerospace Engineering Department of UCLA, working with Prof. Rajit Gadh in Smart Grid Energy Research Center (SMERC). His research interest is focusing on Electric Vehicle Charging System. He received his B.Eng degree in Mechatronic Technology from National Taiwan Normal University in 2008. He obtained his M.S degree in Applied Mechanics from National Taiwan University in 2010.